White winter, green spring, golden summer, fawn autumn... Arthur Rimbaud could have written a famous poem inspired by Pyrenean style. The seasons each have their own colour scheme, and they also each have their range of activities, from the end of the transhumance at the beginning of autumn to the frolicking izard races in spring. The Pyrenees - all year round and for every season! 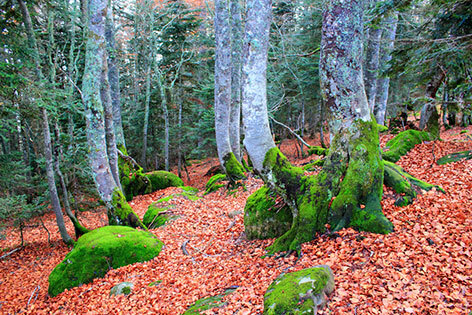 The wintry charms of the Pyrenees are well-known. The variety of activities available, from skiing in the different resorts to climbing icy waterfalls for those in the know, as well as all the new gliding sports, showshoeing, and even family sleigh outings. 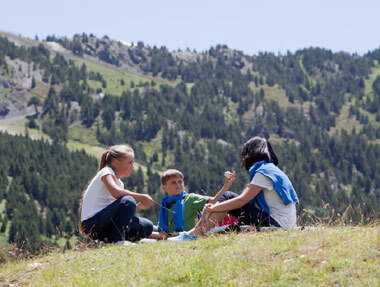 Summer is also renowned for the many walking trails which are amongst France’s most popular. But the Pyrenean year is more than just these two star seasons. The Pyrenees - it’s all year round! Don’t miss the beginning of autumn adorned with red garlands for the Indian summer, like none ever seen before. It’s the blessed season for mushrooms, porcino, chanterelle, delicious milkcaps, known as “roussillous”, morels, and St. George mushrooms. The unique memory of the smells of the undergrowth is almost as strong as a plateful... Why not taste some in a restaurant in the Saint-Savin area? Autumn is also a rare time for communion with nature, when you can hear a stag bell in the Louron or Barousse valley, and catch sight of herds of doe. For the Basque population, autumn is the season of “bluetongue disease”; and the Goshawks season, which they watch out for from their lookouts, or trap in their “pantière” nets, in a hunt which resembles high-sea fishing. All that hard work for the pleasure of tasting a flambé Goshawk cooked in an iron “capucin”, or a “salmis”, a rich game stew. In the spring, when the melted ice reinvigorates the waterways, the Pyrenees turns into a trout fisherman’s paradise. If you have never spent a day on the banks of a torrent or lake fighting with these fiery fish, you cannot understand the pleasure of the battle. A battle which everyone generally wins, because the fish are usually put back in the water. Others prefer to watch the animals awakening from their long wintry torpor. At the Troumouse cirque, the cheeky marmots; at Néouville and Orlu, the izards; at Aste-Béon, the wild vultures; in the Carlit massif the wild sheep lose their winter coat, a reminder that a new season has just arrived.